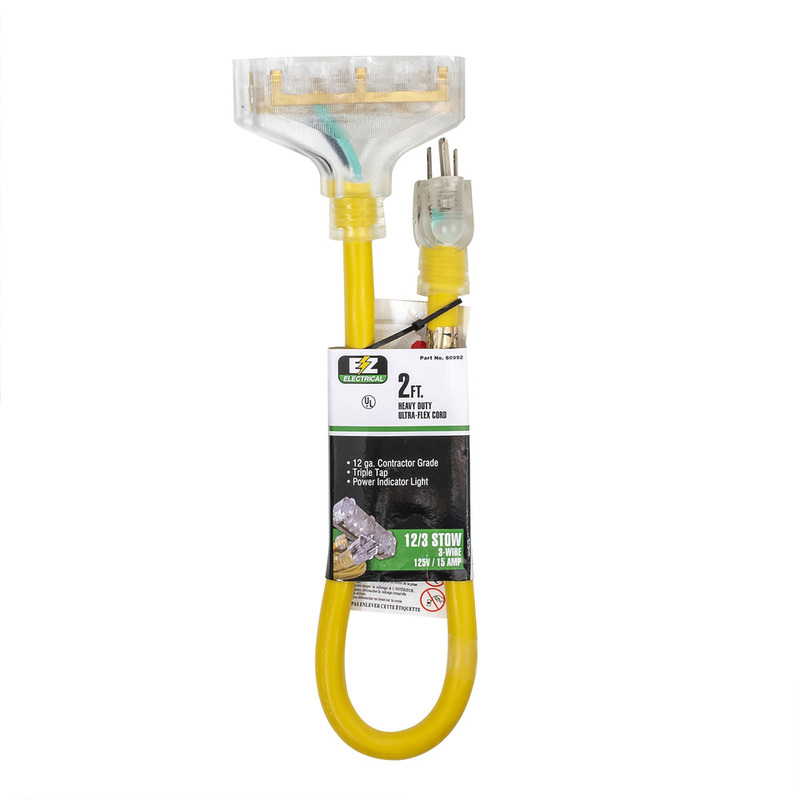 EZ Electrical® adapters are designed to give professional contractors and industrial personnel maximum flexibility in arranging portable power needs at the job site, providing various connector configurations for heavy duty use. All have solid molded-on vinyl connectors for high resistance to breakage and abuse. The 12/3 SJTOW / 15A / 125V / 1875W extension cord resists water, oil, abrasion and corrosion. The cord has flexibility and performs in extreme weather conditions to -58°F.